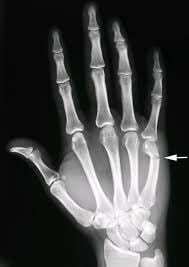 Other fractures may need surgery to set the bone (open reduction). 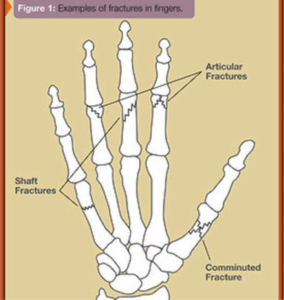 Once the bone fragments are set, they are held together with pins, plates, or screws (see Figure 2) Fractures that disrupt the joint surface (articular fractures) usually need to be set more precisely to restore the joint surface as smooth as possible. 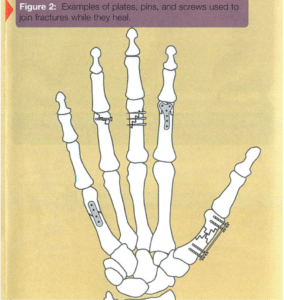 On occasion, bone may be missing or be so severely crushed that it cannot be repaired. In such cases, a bone graft may be necessary. In this procedure, bone is taken from another part of the body to help provide more stability.